Prospective students seeking an undergraduate theological degree are required to have a high school diploma, a GED or high school equivalency and be a minimum of 18 years of age. 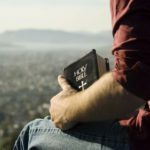 Those students seeking a Master’s level theological degree are required to have a college level degree. Those seeking a Doctorate level theological degree are required to have a Master’s level degree . All those enrolling in Luder-Wycliffe Theological Seminary must uphold to, and maintain biblical conduct. Submit completed application either online or via post. Download, print and sign a hard copy of your application and mail the completed application to address listed below. 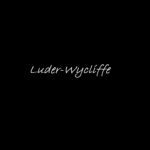 Q: What can I expect once I have been accepted into Luder-Wycliffe? A: Once a student has been accepted into LWTS, they will receive a welcome letter with instructions on how to begin their respective courses, submit course work for grading and pay tuition. Email capabilities: (General knowledge of opening, uploading and downloading attachments). Having motivation, self discipline, consistent effort…..and a good prayer life. TRANSCRIPTS: Can you provide transcripts within 14 days from time of enrollment? We can allow up to 12 credit hours of life experience. How many years of full time ministry do you have, and are they verifiable? I declare that all the information I have provided is true to the best of my knowledge. I also understand and agree with the refund policy (On Payments Page) Please sign your name by typing it in on this form OR by downloading this form and signing it. You may send this form by clicking on the SUBMIT Button below or send it in by mail to our address listed on the Contact Page.